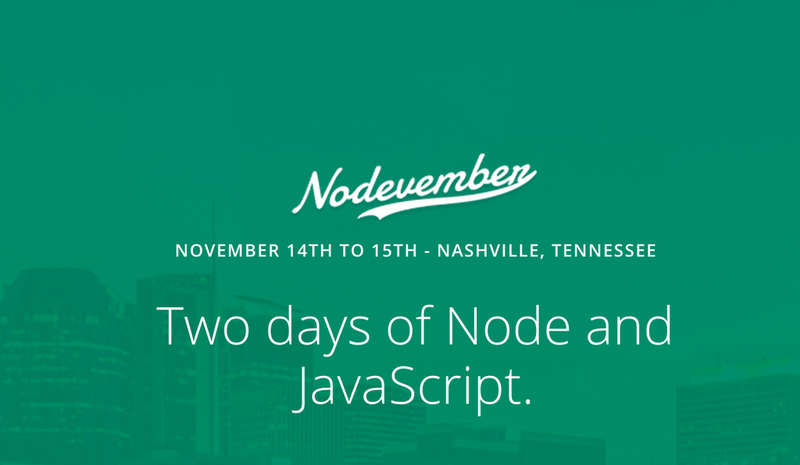 We are sponsoring Nodevember and have a free ticket to give away! Brian Mann, Cypress.io Testing, the way it should be. Dave Thompson, CA Technologies You won't believe these 10 weird tricks that React developers near you are using to create reusable components! Adam Baldwin, &yet Node.js security experiments: A trip back in time. Hunter Loftis, Heroku Don't Make Me Refresh! Chris Keathley, Carbon Five Telling stories with data visualization and D3. Kassandra Perch, Bocoup The communal upbringing of a Nodebotanist: how community can make or break your career. Jacques Woodcock, Tandum Username and Passwords are dead. Mobile ALL the thingz. On November 8, 2009, Ryan Dahl gave his first presentation on Node.js at JSConf and we recognized that this would be a great fit for building the Transloadit we had in mind. We started building the first version of our API, but threw it in the garbage bin. Node 0.1.28 was flaky and we had written something that was hard to test. Somewhat frustrated, we went back to the drawing board. We decided that it was time to get our act together. This meant getting both our API and Node.js to a better place. We landed our first patch in August 2009, and many others would follow. Most of which by our alumni felixge and skomski. Today, we are the company that has been running Node.js in production the longest. This also means we had to invent a few wheels. With those wheels, we have helped to put the world in motion, most notably through node-mysql, node-formidable, and node-retry. These Node modules have now become industry standards for dealing with MySQL, file uploads, and networked/unreliable systems. Together, they have been downloaded 3,732,291 times just last month, and they are among the top 0.03% most depended-upon packages in the Node ecosystem. 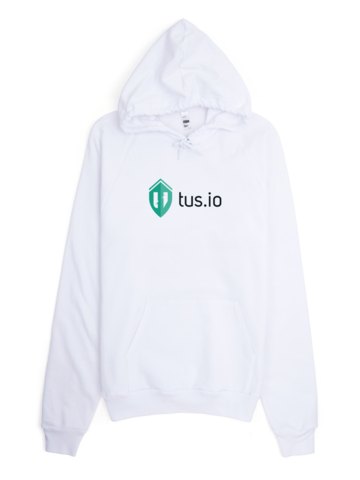 "tus" is an open standard for resumable file uploads that was started by Transloadit, and collaborated on by employees at Google, Yahoo, the director of engineering at Vimeo, an author of HTTP/1.1, the creator of ZeroMQ, and anyone with a GitHub account and an interest in solving the problem of unreliable file uploads for good. At the core of tus is a Markdown document describing how resumable file uploads should work. Around that, there are officially maintained implementations for a growing number of platforms, including JS, iOS, Go, Android. There also are many community maintained implementations. tus is a layer on top of HTTP so using one of these implementations, it's easy to deploy in nearly any existing environment. Not that we'd recommend it - but you could write a tus server as a Wordpress plugin. So what does the free ticket to November include? If you're near Nashville during the weekend of November 14 and 15, and would like to win free admission to Nodevember, just let us know on Twitter and you're already competing in our raffle. Done. Let us know if you would like to partake in the raffle before November 1st. May the luckiest win! If you are looking to organize a conference or hackathon and are still looking for sponsors, shoot an email to hello@transloadit.com, we are always happy to help! Update - The lucky developer to win the free tickets was Sam Rose!